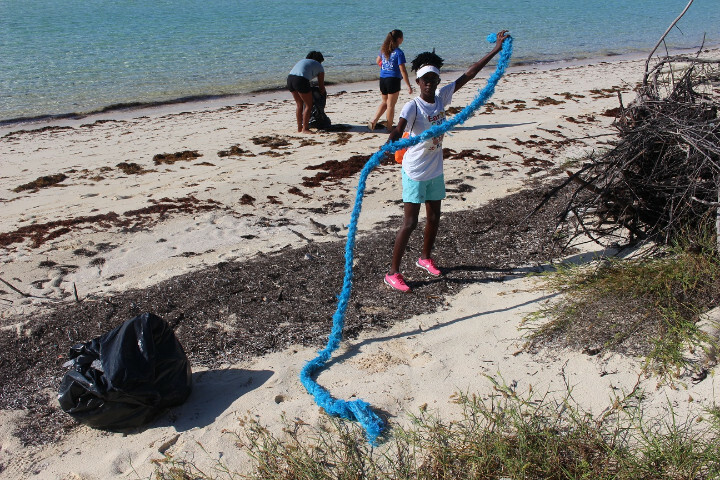 Grand Bahama Island - Early on Saturday morning, September 15th, 2018 twenty-four 24 students from Lucaya International School (LIS) on Grand Bahama Island and 11 EARTHCARE volunteers arrived at Gold Rock Beach International Coastal Cleanup Day (ICC) 2018 (coordinated by the Sustainable Tourism Committee of the Ministry of Tourism), at Lucayan National Park, in east Grand Bahama Island. 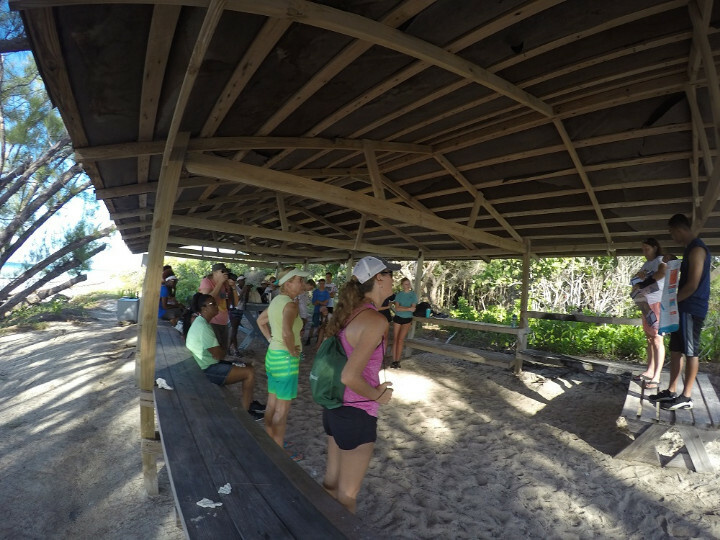 Gail Woon, Zone Captain for Gold Rock Beach was ecstatic to have worked, once again, with the students from Lucaya International School (LIS) and EARTHCARE volunteers. 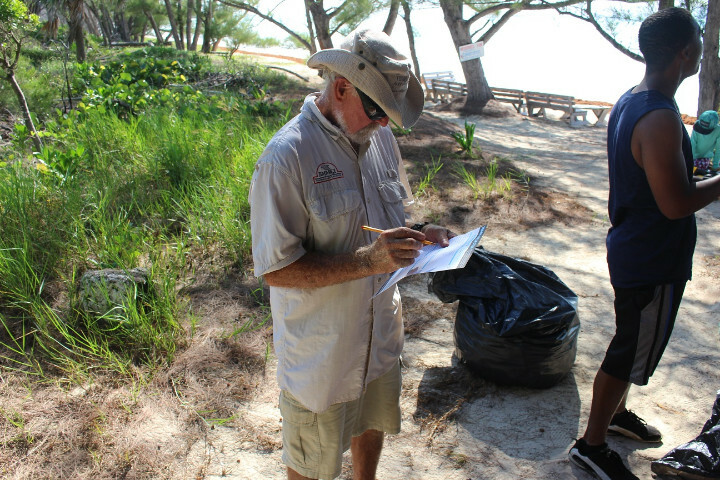 A grand total of 550 pounds of marine debris was collected, recorded and bagged for collection for the Gold Rock Beach zone. The students worked very hard cleaning up the beach, and collected some unusual items. Plastic pollution is a global environmental problem. 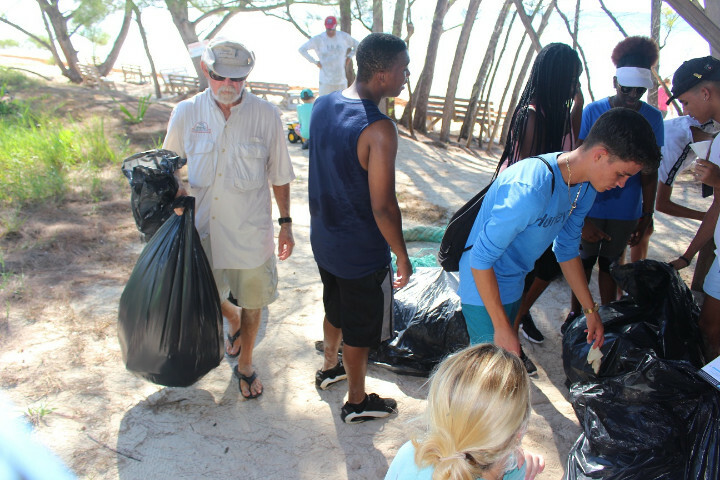 Most of the marine debris collected was as expected; fast food containers, beverage bottles and plastic bags; none of which are biodegradable and all of which, with a little effort, could have been carried to an appropriate dumping point. By far the most numerous item collected were pieces of plastic, 745 individual pieces of plastic were collected and removed. 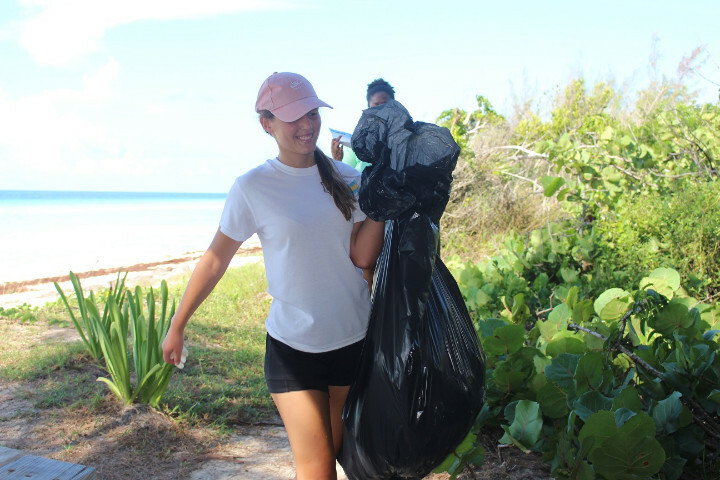 In order to keep the beaches clean and pristine we, as a community must focus on a more powerful public awareness campaign to try and eliminate what has become a serious threat to our sea shores. The most unusual items found were hundreds of small plastic bags, 4 syringes, a gas can, shoes and foreign drink bottles. The students filled out the data cards which will be returned to The Ocean Conservancy in Washington, D.C. where the information will be compiled into a report of the state of marine debris throughout the entire globe. Grand Bahama Island has been participating with The Ocean Conservancy through the Ministry of Tourism for over 33 years. 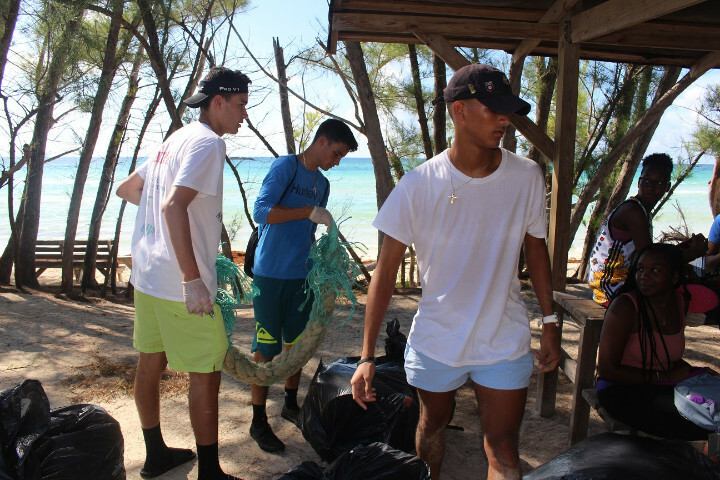 Jeffrey Pinder and his team from the Ministry of Tourism and Sustainable Tourism Committee are to be commended for their coordination of this year’s International Coastal Cleanup Day. It was a very successful day from the West End of the island to the East End of Grand Bahama Island. “This year we coordinated with Kathryn Dillette, Head of School for LIS and Erin Cordes, LIS Teacher. The morning went well. I gave a short lecture on why we come together each year to participate in International Coastal Cleanup Day. I explained the importance of the data cards wherein we count and catalogue the items collected for inclusion in the Global Report. I also shared with the students the tragedy that is occurring with our neighbor, the State of Florida, where the levels of pollution are so high that the water bodies there cannot support life and, in fact, are toxic now to humans, pets and are affecting the health of the residents. Hundreds of thousands of plants and animals have died in Florida due to a pollution induced red tide bloom and a blue green algal bloom that is spreading across the state. 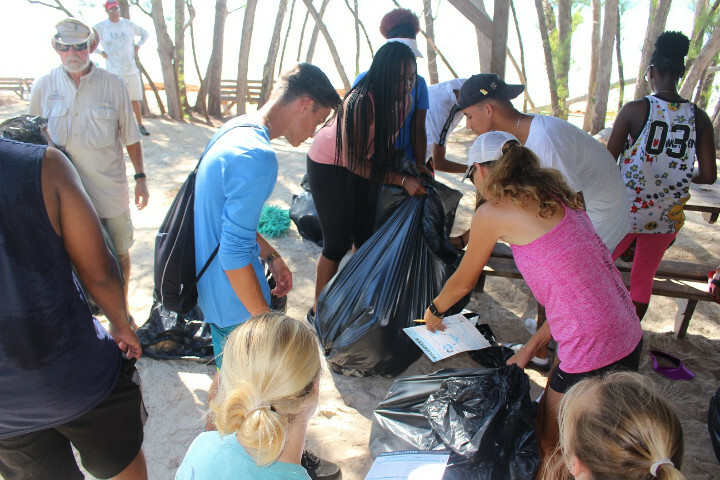 Afterward the students and volunteers did the work and made sure the marine debris was put in a dumpster that will be collected by the appropriate authority. This annual activity makes me feel that there, indeed, very much, is hope for the future for our kids and the marine environment,” said Ms. Woon, Zone Captain and Founder of EARTHCARE. Students participating from Lucaya International included: Alejandro Cabassa, Cristofer Paul, Sean Doherty, Casper Cafferata, Cameron Chandler, Brickell Sands, Ryanna Higgs, Ure Saunders, Tyler Davenport, Hannah Lopez-Brand, Bella Law, Ajhonae Wildgoose, Kariel Stuart, Martin Albury, Amalie, Libby Wilson, Angelina Rahming, Sara Paice, Lola Burgoyne, Zachary Osman. LIS teachers included Erin Cordes, Tara Doherty, Julie Brand, and Luke Hopper. Kathryn Dillette, Head of High School, LIS, coordinated the group. EARTHCARE Team Leaders Havana Gibson, Savanna Gibson, both from Bishop Michael Eldon School, and Matthew Smith gave invaluable assistance. 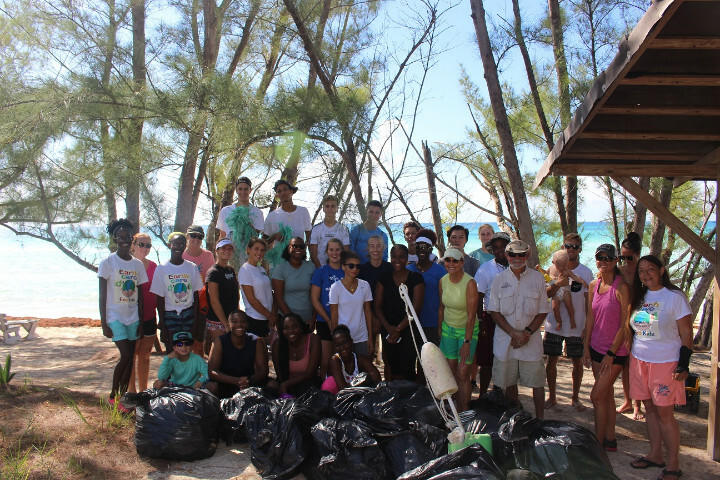 In addition we had much needed help from EARTHCARE volunteers: Fallon Symonette (Freeport Restaurants), Angelika Christie, Ben Rose (Grand Bahama Nature Tours), Kent Osman, Zoey Hopper, Marcey Hopper and Roo Hopper.